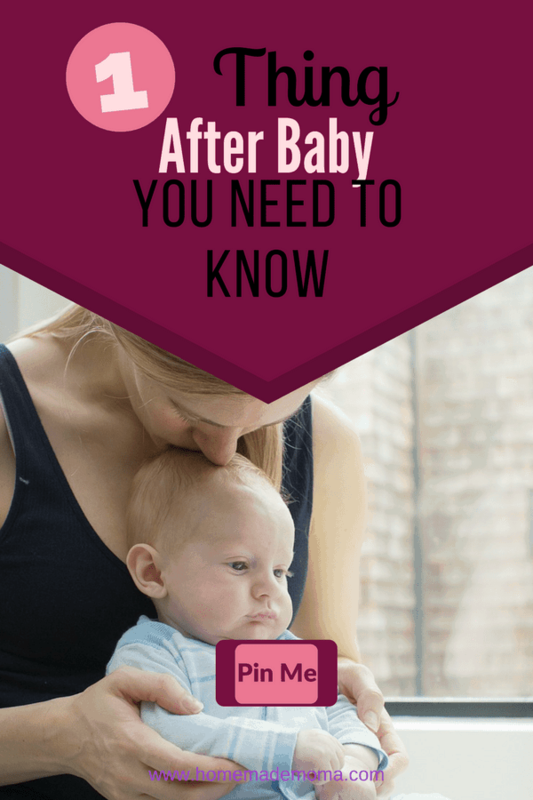 You have had a c-section or maybe even two or three and after a few months or years you still have a belly it may even look like you are pregnant again and trying to diet and do exercise doesn’t seem to help. This is super frustrating I know and you wonder am I ever going to look the same? What is going on with my stomach? 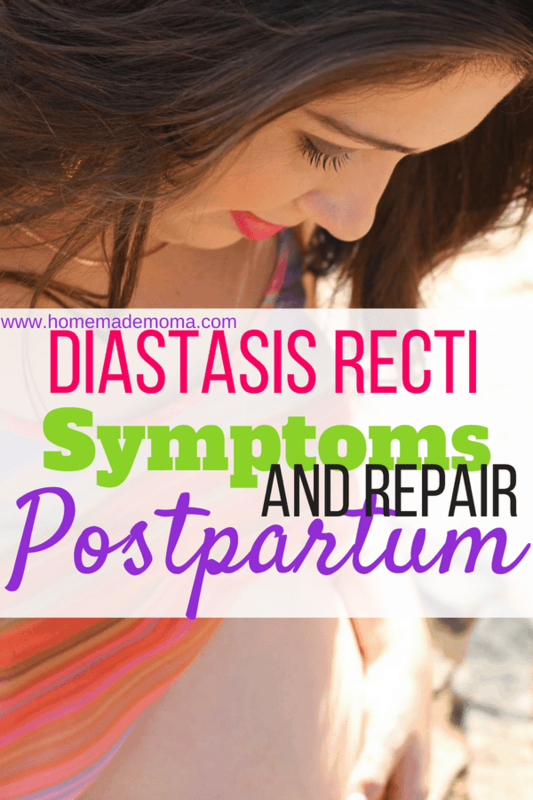 You could have diastasis recti postpartum! Stop struggling with your body image and hiding behind baggie clothes wishing you could have a flat stomach again. Lets do something about it!! 60% of Women have Diastasis Recti Postpartum and don’t know that they have it! It is not something talked about by many women or doctors and isn’t as well known as it should be. It is becoming more known but I believe it is because us mom’s are starting to talk about it with each other. Coming from a mom who has had two c-sections I can tell you it is a struggle and I totally understand your pain. I went through this for months until I found out that I have it and may have had it after my first child 10 years ago! I want to give you hope and let you know you are not alone, many women suffer from this and may not even know. 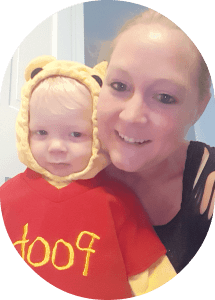 I will help you understand what diastasis recti is, how to know if you have it and how to get rid of it so that you can feel like yourself again because being a mom is hard enough and you deserve to have your body back! It is the separation in your abdominal muscles from healing wrong after a c-section (not taking it easy and damaging your muscles as well as the lack of a belly binder) or any major abdominal surgery, heavy lifting done incorrectly and can also be seen in babies and men as well. When your baby is growing in your uterus it causes your abdominal muscles to stretch to make room for your baby and when it shrinks back down it may not go back the way that it used to be and leaves an open space in the middle. I believe that it is super important to wear support belts during pregnancy to help your muscles hold the weight and not separate and also to wear a Belly binder postpartum and especially after a c section. These will help prevent this from happening by holding the muscles in close together to aid in the healing process. It is scary that this can even happen to anyone but it does more often then you may think. 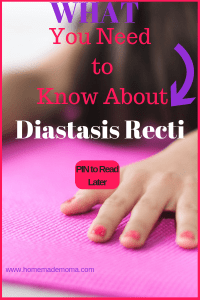 So how do you know if you have diastasis recti postpartum? Lay down and lift your head slightly, you can feel with two fingers just below your diaphragm a space in your muscles this is the separation I am talking about, you will be able to push them in and feel how much separation you have. If you don’t have Diastasis Recti your fingers will not sink in and you can feel the muscles there instead. It may also hurt a lot when doing sit ups, crunches, or any kind of exercises that cause your stomach muscles to push outward and you will probably have pain after doing these which will last for a few days. If your Diastasis Recti Postpartum is really bad you will hurt for a week and wonder what is wrong with you, I know this first hand because I did the wrong kind of exercises (sit ups and push ups) and felt like my insides were going to come out! It was hard to move or do anything normal for a week or more. I made my problem worse then it was in the beginning so don’t do this! Doing the wrong exercises is very damaging to these muscles causing them to tear or stretch to much and can lead to a bigger problem, bigger belly bulge and sometimes surgery! You should have your doctor check for you to see if you have it, they will measure to see if a space is there between your muscles and can let you know how bad it is and what can be done about it as well. I am not a doctor so I can’t diagnose or treat you, it is always best to check with your healthcare provider before going ahead with any exercises to fix the problem. There are great exercises that can be done to rebuild these muscles! You can find exercises to do by talking to your doctor, looking online and I also have a few basic ones listed below. Remember any exercise you do that will be good for your diastasis are ones that don’t push your ab muscles out, this is a great way to determine if you should do them or not. Sit ups push your belly out but if you do abdominal lifts laying flat with legs bent and hands at your sides it pulls your muscles inward. You should always talk to your doctor before doing any exercises to find out if it is safe for you to do. Lay in bed and breathe in while pulling your pelvic muscles up like an elevator, hold for 5 seconds and release. Repeat 5 to 10 times: what this does is help to connect your pelvic floor to your abdominal muscles and will help with the healing process. When you go to sit up, carrying anything or even getting dressed it helps engage your muscles and promotes healing. You want to start small and work your way up don’t rush the process it does take some time to work. When you use the bathroom try holding in your pee for 10 seconds and release. This helps strengthen your pelvic floor muscles and promotes healing in your abs. Lay flat on your back with your knees bent, raise one arm over your shoulder and exhale extending one leg out so it is slightly off the ground hold for a few seconds. Extend your opposite arm and repeat then go back to the resting position. Lay flat on your back with one arm over your shoulder and pull one leg up breathing in as you do it then lower your leg down and tap your heal on the floor. Laying flat on your back arms at your side and knees bent breathe out and slowly lift your abs up and then back down exhaling as you go. Remember to keep your belly sucked in and back flat on the floor. Repeat 10 times. Lean up against a wall and slowly go into the sitting position remember to hold your core in while you do this and sit for 10 seconds. This one depends on how you feel if it starts to hurt stop. Only do as much as you can and don’t over due it. Go for a brisk walk every other day and alternate this with the exercises so your muscles get a break and you can engage them in a different way. When walking remember to breathe and hold in your core. The healing process is going to be slow and may take a few months but you will start to feel better in a few weeks and notice a big difference in how you look and how your stomach muscles feel. When I started doing these exercises I noticed a big difference in my movements and sitting up after a week! You can start to feel better about yourself and not feel like hiding your belly from people now that you know what the problem is and how to work on fixing it. Just remember to start small and don’t overdue it, this is not a race and it may take a while! You will cause more harm if you push yourself to fast. Remember no crunches or sit ups, Pilates or anything that makes your abs go out when you are using them also don’t lift items that are to heavy or strain yourself when reaching for anything up high. This is a process that works as long as you keep at it, so don’t give up I know you can do this and you will feel like yourself again in a few short months! Stick to it momma you got this!! Pin this post for reference later!!!! I think passionate writing is what it is all about, no one wants to read something that doesn’t feel real. I really appreciate your comment you made my day. other customers like its aided me. Good job! Thank you so much! I’m so glad that you found it to be helpful. Thank you so much!! I’m so glad that you like it and keep coming back to read more. webmasters and bloggers made good content as you do, the net can be a lot more useful than ever before. I’m so glad that you found this post to be helpful! The internet is a great source of information but I do agree some information you find is of no help at all. Thanks for reading my post I really appreciate your comment and hope you come back to read more. Diastasis Recti is a subject not well known about here in the USA but is very popular in other countries, it seems we are far behind in the medical side of child birth here! I actually didn’t have this. 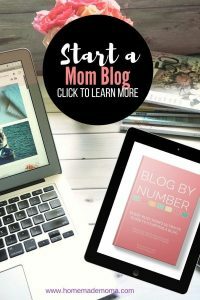 I thought I did from reading blogs but, I had Pelvic Floor dysfunction. PFD can contribute to this eventually as well. Mine was so bad I literally could not walk without a cane. It was also complicated by Endometriosis lesions on the muscles. It took 6 months of physical therapy to heal up fairly well. I still have problems if I ride in a bumpy car too long. It triggers muscle spasms and the process starts over. It’s amazing all the things that can go wrong. That sounds terrible Davi I am so sorry that you had to go through that and still have some problems with it that sounds so awful. Your right pelvic floor dysfunction can lead to diastasis recti if not treated, it is what holds your core and centers you. I don’t know why it isn’t talked about, everyone should be aware of this happening even men!